665w peak output motor w/48V 10ah battery = similar to a 24V 450w peak output eZip motor - pushed to 36V 675w peak output motor. Last edited by DrkAngel on Nov 02 2015 7:52pm, edited 6 times in total. This is part of the reason I ended up building a trike. The aerodynamic factor on these is sooo great I can cruise along @ 27mph with way less power than my mtb requires. Something like this would really increase capability for range at higher speeds. 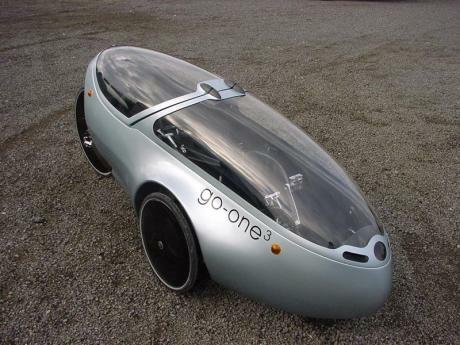 You could even build a two wheeled streamliner which would only need around 1hp (~750 watts) at 60mph! Visibility is a major reason I never completed ReCycle, my lowracer 'bent bike, and instead built CrazyBike2. migueralliart wrote: This is part of the reason I ended up building a trike. The aerodynamic factor on these is sooo great I can cruise along @ 27mph with way less power than my mtb requires. As far as taht goes, any lowracer 'bent would have similar aero. A bicycle version would be slightly better aero than a trike. This is similar to how I use CrazyBike2--I cruise at 20MPH as much as I can, between the many traffic control stops I pass thru on my commute to/from work, reserving any higher speeds for emergency GTFOOTW maneuvers (which don't happen all that often, but sometimes come up, when it is safer to speed up to get out of the way than to try to brake and risk skidding into the problem instead). If I am on lower-speed paths like the canal, I go slower, partly because I'm usually going on longer trips and doing this will increase my range some. (not having to stop very often also increases my range). But if I need the speed, it's there, and becuse it *could* do up to 30-35MPH, it still has quite fast acceleration past 20MPH to GTFOOTW if I have to. 30 mph has been my target speed. Everything within several miles has a 30 mph speed limit. I have viewed that safety dictates that I be capable of blending with traffic, not hindering it or outrunning it. My "main" eBike, 2008 eZip Trailz (5500 miles), runs at a modest <500w but I regeared it for motor only 22mph with some assist past 25 mph. Since I push this bike to near 30mph daily, for a 5 block stretch, regearing for assist past 30 mph is advisable. See - Re Gearing the EZips - Simple Mods Oh yeah! - I do provide a substantial burst of pedal assist, motor assist ends near 25 mph, so it is all me pushing to near 30mph! DNP 7spd 11T freewheel required. I did mod another eZip for 30mph capability, I pumped it up to 37V and regeared for +30mph capability. In fact I've maintained 30mph plus for multi-mile test runs. Sadly, not too efficiently and requiring much effort. Of course that was a fairly upright stance with a heavy bike and 2.1125" tires at a sagging 40lb pressure. My 30 mph project is a 32lb Haro Express Deluxe. With 700C 35mm tires, @ 85lb, road load is minimized! EZip motor pushed to 44.4V (830w peak output) and geared up 25% pushes some assist to near 40mph, providing substantial assist at 30mph. Re-Gearing the eZips - Simple Mods! Last edited by DrkAngel on Feb 23 2013 9:38am, edited 1 time in total. Your range chart pretty much agrees with my experience over 10,000 or so miles. I've been amazed at times at the range increase you get from cruising 18mph vs 20. For me that has been the compromise long range speed. 15 and under just seems like such a crawl, but by 22-25 mph you just blew your range. 18 mph has been tolerable, yet gets me some real range. One thing often overlooked by people when calculating battery size for a certian distance is that you rarely ride in no wind. By afternoon, if you must ride upwind, you'll need a lot more wh. 15 mph into 15 mph wind is the same as riding 30 mph. I typically take a 10 mile morning ride (weather dependent), around a circuitous MUP. Dependent on wind direction, I ride through the forest into the wind and take the wide open path, with the wind at my back. Sunglasses and visor needed upon occasion! DrkAngel wrote: Generic Mountain bike - motor only. Note! Do not use this to estimate if you are using SLA batteries! SLA batteries often output less than 50% of rated Ah! If 15mph gets you a 30 miles range, then 30mph should only gets you 3.75 miles. Same thing with 10mph vs 20mph. The required power increases 8-fold when the speed is doubled. That would be how much battery capacity you would "need" to get that far. You would probably "want" much larger to save battery life and as a safety margin. I believe that you are referring to a rule of thumb and that maintaining 30 mph would require 8x the power as maintaining 15mph? That concurs nicely with my posted information! You forgot to realize that while you are using 8x the energy ... you are traveling 2x as fast ... for a 4x energy usage per mile. Below 20mph wind resistance is reputed to be a minimal factor? That might be a reason that the rule of thumb doesn't fit for 10-20mph? Last edited by DrkAngel on Feb 22 2013 9:54pm, edited 2 times in total. also- at 10mph it is easier to contribute a lot of the power by pedaling,sometimes using no throttle at all. So the distance would increase even more. at 15mph not as much increase by pedaling. DrkAngel wrote: You forgot to realize that while you are using 8x the energy ... you are traveling 2x as fast ... for a 4x energy usage per mile. You're right. 8 times the power, 4 times the energy consumption. 30 miles range at 15mph and 7.5 miles at 30mph. So your estimation is almost exact. The 8x power requirement for twice the speed is not a rule of thumb. It's physics and it applies to all cases. Air resistance is part of the equation so it's already accounted for. aroundgube is correct. The slower you go, the more your pedaling efforts contribute to the total wattage. For example, if you put out 50w by easy pedaling and are traveling 20- 25 mph, you are likely contributing 50w added to 500w from the battery. Assuming for this example that you waste 20% of the 500w, your wheel sees 450w. Your 50w is not much of the total. But if you ride slow, and only 100w is reaching your wheel from the motor, your 50w of pedaling is now 1/3 of the total of 150w..
Below 15 mph, you can really extend your range by pedaling. But as a nit pick, it's NOT better efficiency from the motor. It's just using pedal power for a third. The over all combined efficiency is just simply a result of less drag. "Race bike" load line replaced by "Mtb Tuck"
Last edited by DrkAngel on Dec 10 2017 11:04am, edited 1 time in total. Mapped performance of an old hub motor. 26" wheel outputs a continuous 23mph. For evaluation purposes I compared to the same rig in a 20" wheel. increases range from 23 miles to 32 miles!!! Partial throttle emulates, only partially, better range and efficiency. This exemplifies one shortcoming of hub motors, the lack of variable gearing or ratio options. Purchase of a specific capability motor might be optimal, but best for a specific use. Mid drive through pedal drivetrain looks to give best multi-use or multi-condition capability! ... ? Last edited by DrkAngel on Dec 09 2017 11:22am, edited 1 time in total. System A is showing 36 inch wheel in the screen shot???! Some factors were altered to match actual motor's performance! I created a reasonable map representation of the BD36's power curve. Wheel size was chosen to match 26" performance and 20" estimated by percentage 36" / 26" x 20" = 27.7" for B. Finally made up a Wh/mile graph ... using above data. Might have time to add Mtn Bike Tuck, Recumbent and data for higher speeds ... later. Closer sample rate and fractional miles range should smooth curve nicely, did some rounding up\down from gathered data for "cleaner" numbers. Last edited by DrkAngel on Jan 19 2018 9:07am, edited 1 time in total. Are the assumptions in these numbers steady state cruising on relatively flat ground with no pedal assistance? In bashing them against my own experience, they seems a to lean toward being a bit pessimistic. Since I seldom cruise less than 20 mph and often 25mph or more, I figure my average is about 22.5mph as a "typical" speed. Given that, I'd expect to consume about 30 wh/mi. But I think my real consumption is closer to 25 wh/mi. But then it is hard to put your finger on what your typical speed is given how slowing for stops and accelerating figure into average moving speeds. My actual average measured moving speed is typically about 20mph - which includes slowing for stops and accelerating from a stop. If we go by that, then your estimates are pretty spot on. OTOH, if I add 5 wh/mi for my pedaling efforts, things jibe better with my finger to the wind typical speed of 22.5 mph. Motor only, level road cruising. Be aware that my graphs and charts are based on level travel on good surface travel.